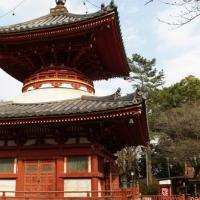 Journey to Kawagoe for a day and submerge yourself in the beautiful old district which traded with the ancient capital Edo (old Tokyo). 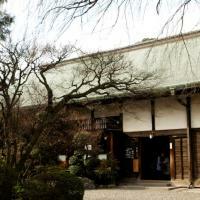 Have you ever wondered what it’d feel like to stroll around in Edo-period Japan, between the 17th and 19th centuries? Well, wonder no more, because the town of Kawagoe, affectionately known as Ko-Edo or Little Edo, has preserved the Edo-period ambiance, with a main street and several houses freezing in time. With a Host by your side, explore the best-loved areas of the preserved district as you make your way through the ambient, old streets. Zig-zag through the streets of the iconic Kawagoe warehouse district, discovering famous and historic areas through a local lens. Wander through the architecturally unique buildings, artsy galleries and find plenty of places to call in for a drink or a bite to eat. The neighbourhood may be well frequented, but with a local by your side, you will go beyond the most famous sights and see another side to Little Edo. From the Hattori Museum of Folklore and the Kawagoe Castle to soy sauce shops and handmade soba spots, the Kawagoe district is a maze of wonder and an experience which will take you far beyond the tourist sights. Stroll by the Toki no Kane bell tower, the Hattori Museum of Folklore, home to a small display of old medicines, advertisements and sandals and the Kawagoe Festival Museum, which exhibits the great floats used during the iconic October festival. 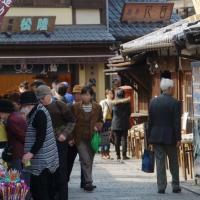 Perhaps you’ll soak up the sights of the Kawagoe Castle, which dates back to the 15th century. 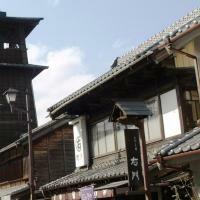 Admire the"Yagura" (tower) and primary hall (Honmaru Goten) which still remain. Walk through the old corridors, spacious tatami rooms, peaceful Japanese garden, and enjoy the ornate features and displays of cultural heritage. Sit with three models of a feudal lord and his vassals, and imagine what it must have been like to hold a discussion in ancient times. Your Local might take you offbeat to a noodle shop which doubles up as a small museum with collections of sketches, documents and edo era tools and armor. Taste several kinds of soy sauce at the Matsumoto Soy Sauce Shop. Try tea from the Black tea Roman Maison Shimano. Discover the hidden gems in the mystical Kawagoe area that are just around the corner from iconic attractions, and see its historic streets in a new light with your local by your side, who will also give you recommendations for other things to do in the area and restaurants to try.